I enjoy teaching about the business of craft. 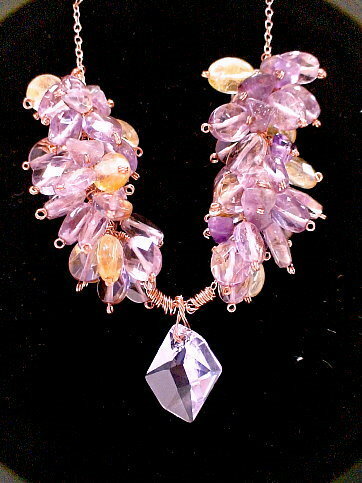 Over the past 25 years, I’ve learned many insights about creating, marketing and selling jewelry. Two of my video tutorials – “SO YOU WANT TO DO CRAFT SHOWS” and “PRICING AND SELLING YOUR JEWELRY” are available on the http://www.CraftArtEdu.com website. CraftArtEdu.com is running a two-day – THURS, 4/24 and FRI, 4/25 only — special discount on these video tutorials, which you might take advantage of. I’ve appended their promotional announcement below. and so much more.. this class is almost two hours long! Warren includes lots of advice and helpful resource links, too. All you need to provide is a pencil, some paper, a calculator and your enthusiasm for running a successful, profitable craft show! Preview and Purchase Warren’s Class All Levels | $30 | $24 through Friday! What on earth do you think you would buy from The Flan Corporation? Flan? The Spanish kind or the Mexican version? Flans? Whatever they are – automotive parts? Would you ever buy a Swarovski necklace of glass pearls, crystallized elements, 14KT gold clasp and real faceted emeralds from The Flan Corporation? The Flan Corporation is a Chinese company that sells handcrafted, beadwoven jewelry. I don’t know what “Flan” means in Chinese, but, here in the US, it’s not a word that would immediately make me salivate about handcrafted, beadwoven jewelry. It’s really difficult to pick a business name. It’s harder than naming your child. It’s harder than naming your dog. I’ve tried many times with varying degrees of success. And the first business name you pick might seem great and work great at the beginning, but will it evolve with your business as well? Maybe yes, maybe not. What’s important is not only how good your business name sounds, and how appealing it is today, but also how adaptable it is over time, as you grow or change your business. I can’t claim 100% success with my tries at naming a business. Take “Land of Odds.” This has been my best name-selection to date, but it hasn’t been perfect. I came up with that name 30 years ago for a hobbyist type business, where I refinished antique lamps, and some other antiques, for people. When James and I started our jewelry, beads and gifts business, I thought that Land of Odds would be good for that, as well. The name “Land of Odds” always gets such great responses from people. And it is memorable. As our business grew and grew, Land of Odds – the name – grew with it. 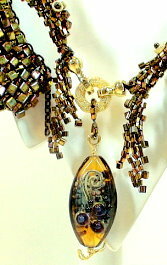 We added more handcrafted jewelry, unusual greeting cards, some neat clothing, collectible lines. The name still worked. Then our business hit a wall. We were located downtown, and the city of Nashville took away 6,000 parking spaces within an 18 month period of time. The city had renovated this downtown historic district, and for various reasons, cars and parking got in the way of continued development. Our business dropped precipitously. I had to put us into Chapter 11 for awhile. James and I dissolved our business partnership, and we put most of the assets in a new business for him that we called Be Dazzled, and we put most of the liabilities under the Land of Odds name. Now we were functioning with two names used to describe similar businesses that emphasized unusual, often hand-crafted jewelry, gifts, collectibles, gourmet foods, posters, clothing, and beads and jewelry findings. I shut the physical Land of Odds store down, and continued the business as an internet company – http://www.landofodds.com . The online company was still called Land of Odds. At first, I put all our merchandise online – beads, jewelry, gifts, clothing, posters and gourmet food. Only two categories did well – beads and posters. I slowly began narrowing our focus to beads and posters, and eventually beads only. As an online entity, we needed to get top placements in search engines in terms of key words like beads and jewelry findings. Search engine robots that indexed a business name with the words beads and/or jewelry findings in the name, would automatically assign it a higher ranking for those terms. A better online name would have been Beads At Land Of Odds or Land of Odds Beads. “Land of Odds” was still a name liked by all, but it no longer had the same strong association with beads and posters, and then with beads only. The business grew quickly online, and “Land of Odds” began to have a strong “brand” following. But again, no longer the most strategic business name, given what I was doing now. “Be Dazzled” was another popular name. The image James had for this business was jewelry that was hand made and wowed people. The business faltered, however. We got rid of most of the merchandise, turned Be Dazzled into a bead store, and eventually recombined Land of Odds and Be Dazzled. At the time we recombined them, both had strong brand identities, so we kept both names. We managed the physical store called Be Dazzled separately from Land of Odds – the online store. When Be Dazzled became all “beads”, I added the word “BEADS” everytime I referred to Be Dazzled — “Be Dazzled Beads” — , from our stationery to answering the phone to setting up its website — www.bedazzledbeads.com . In the bead business, there are many variations on the name “Beadazzled”. Most people, even regular customers who visit the shop everyday, think that’s our name. We were lucky that Be Dazzled/jewelry morphed so well into Be Dazzled/beads. But we would have been better off if we had worked “beads” into the name somehow. There are a couple of small chain operations called “Beadazzled.” For awhile, someone opened up a bead store in Nashville called “Beadazzled”. There’s always some confusion for and with our shop name.